The indicator draws the time scale on the chart. 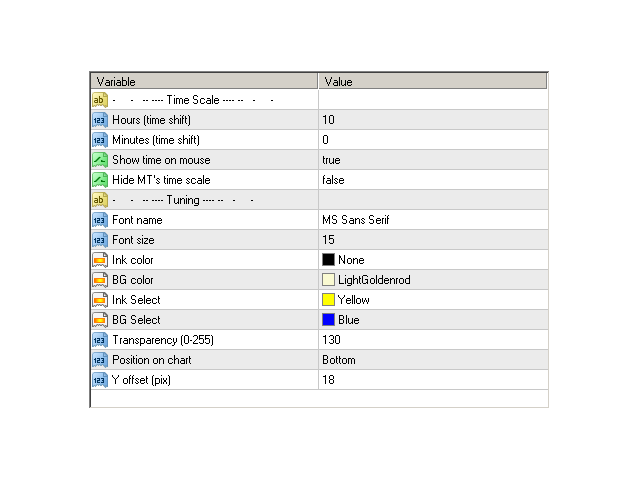 You can specify the time offset for the scale, adjust the size and font to display on the chart. Y offset (pix) — scale shift on the chart vertically. Absolutely great, simple and useful. Thank for free. Best Regards!